Coach Montgomery will be in his 2nd season as head coach of the Spartans. The Spartans went 3-7 in 2018 in the toughest AAAA region in the state. Their schedule was ranked #1 in strength of schedule in 2018 all classifications. Before becoming the Head Coach in 2018 Montgomery led the Spartans as offensive coordinator and run-game coordinator while coaching the offensive line. 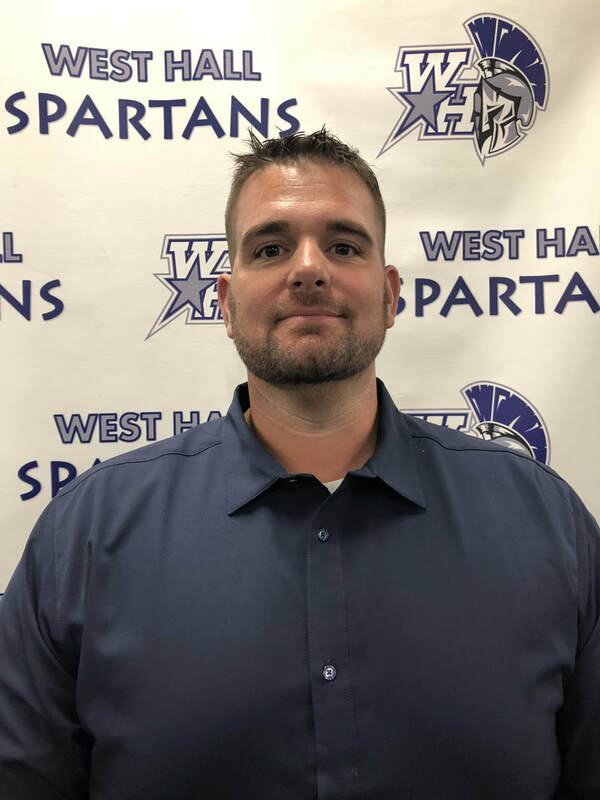 During that time, the Spartans went to five (5) straight state playoff appearances in his five years at West Hall in both AAA & AAAA regions. In 2016, the Spartans advanced to the AAAA State Playoff’s Sweet 16 for the first time since 1995. The 2014 West Hall Spartans won their first Region Championship in the school’s 27 year history. · While Offensive coordinator in 2016: The West Hall Offense had 4100 Total Yards offensively, 1500 passing and 2500 rushing in 12 games. · College Players- Hunter Atkinson Georgia State, Tyquan Statham Cincinnati, Jacob Taylor Carson-Newman. 12 total players have went on to play college football with 6 of them being offensive lineman. Prior to coming to West Hall, Coach Montgomery spent eight years working at Winder-Barrow High School where he coached baseball and football. Coach Montgomery worked for Ben Corley (current Chestatee AD), Brain Allison (current Union County Head Coach), and David Wagner (Current West Hall DC). On the football side Coach Montgomery started off coaching outside linebackers and then transitioned to the defensive line. As defensive line Coach Montgomery coached All-Region Defensive End Jonah Huggins and Current Western Carolina DT Tyler Junius. In 2011 Coach Montgomery moved to the offensive side of the ball as an OL coach and hasn’t looked back. Coach Montgomery was also the recruiting coordinator in 2008, 2009 at Winder. Coach Montgomery holds a Bachelor’s degree from Bowling Green State University in Bowling Green, Ohio. He played two years of college football starting with Heidelberg College in 2000 for Larry Shank before transferring to Bowling Green State University where he graduated in December of 2004 with a degree in integrated Social Studies with minors in political science, psychology, and history. He also holds a Master’s of Science in Kinesiology from Georgia Southern University. Coach Montgomery received his Educational Specialist degree from Kennesaw State University in Instructional Technology December 2018. Coach Montgomery is a native of Clyde, Ohio where he played for legendary high school coach Robert J. Bishop. Coach Montgomery has a beautiful, 6-year-old daughter, Hazel, who he adores. Coach Montgomery teaches IB psychology and AP Psychology for the Social Studies department.